This is the public profile of Chris Zawada, Additional information and high-resolution images are available for accredited press members, to access additional information about Chris Zawada please login as a press member. About Chris Zawada : With a passion for well thought out strategic design, Chris has spent the past 15 years producing stand out creative that works. Having started his career with FutureBrand Canada in 1999, Chris landed at TAXI’s Vancouver office in 2007 where he lead the creation of award winning design for TAXI West’s clients. 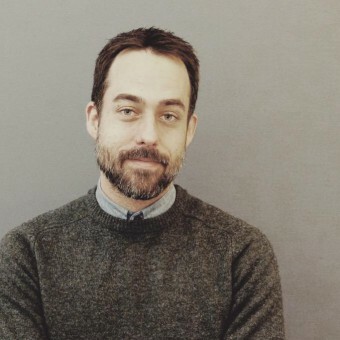 Currently Chris is Associate Creative Director at the Vancouver office of Cossette. Over the years Chris has produced work on a number of clients including Meinhardt Fine Foods, MINI, Empresas Polar, TELUS, Molson Coors, Forum Snowboards and Rocky Mountain Equipment amongst others. In his practically non-existent free time Chris created Lovely Package, a leading website dedicated to the very best packaging design from around the world which has quickly become an industry standard, and source of inspiration for designers, agencies and clients. In the Spring of 2012, Chris had the honour of judging the packaging design category at the D&AD Awards in London, UK. Press Members: Request an exclusive interview with Chris Zawada.